I've always found classic pickup trucks to be pretty darn cool and it has been an aspiration of mine for quite awhile to restore one to cruise around in. So when the U.S. 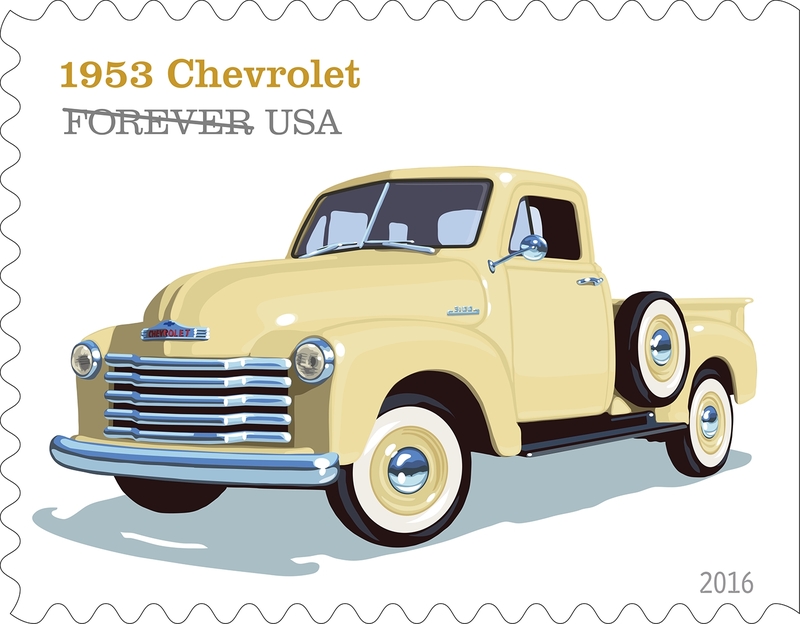 Postal Service (USPS) announced a set of pickup truck stamps that they will be releasing later this year the news caught my attention. 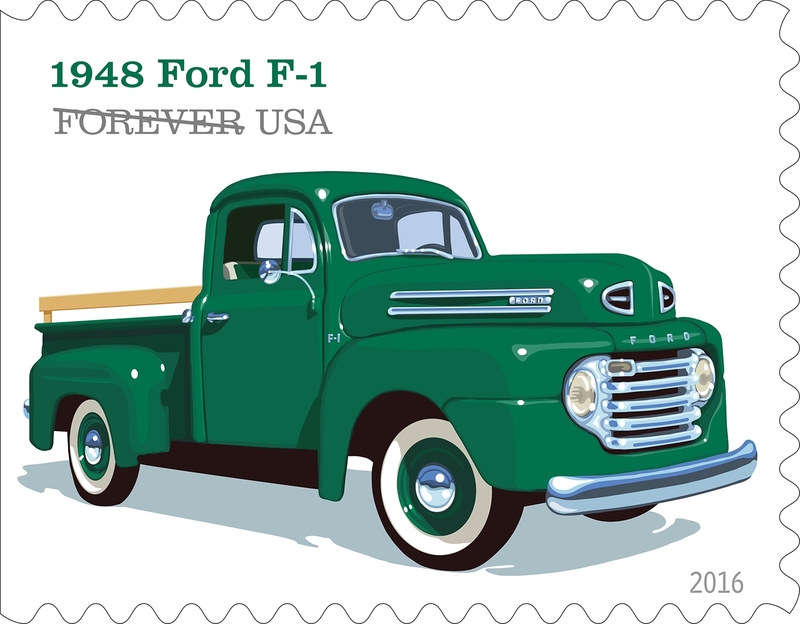 Drawn by illustrator Chris Lyons, who has also done artwork for Road & Track, Sports Illustrated, Forbes and numerous other newspapers and magazines, these four Forever stamps, which means they will always be worth the current U.S. Postal Service's First Class Mail one-ounce rate, will be bundled together in a twenty pack that will contain five of each one. 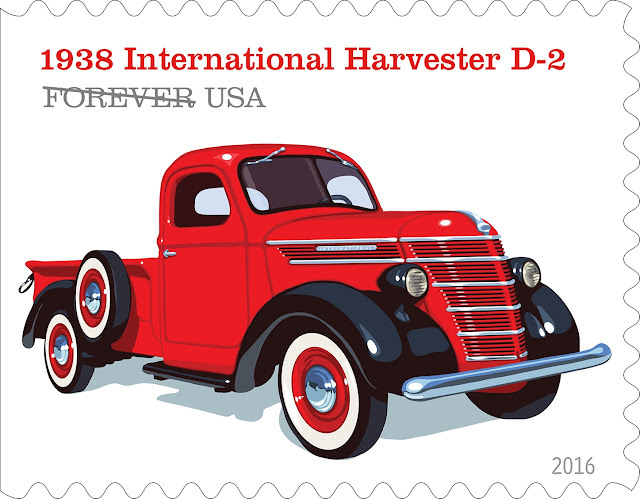 The four pickups being featured on these stamps are a 1938 International Harvester D-2, 1948 Ford F-1, 1953 Chevrolet and a 1965 Ford F-100. Whether you want your mail to stand out to your recipients or are a hobbyist interested in adding these to a collection it would well be worth a trip to your local post office to pick up a bundle of these sharp looking classic pickup stamps. 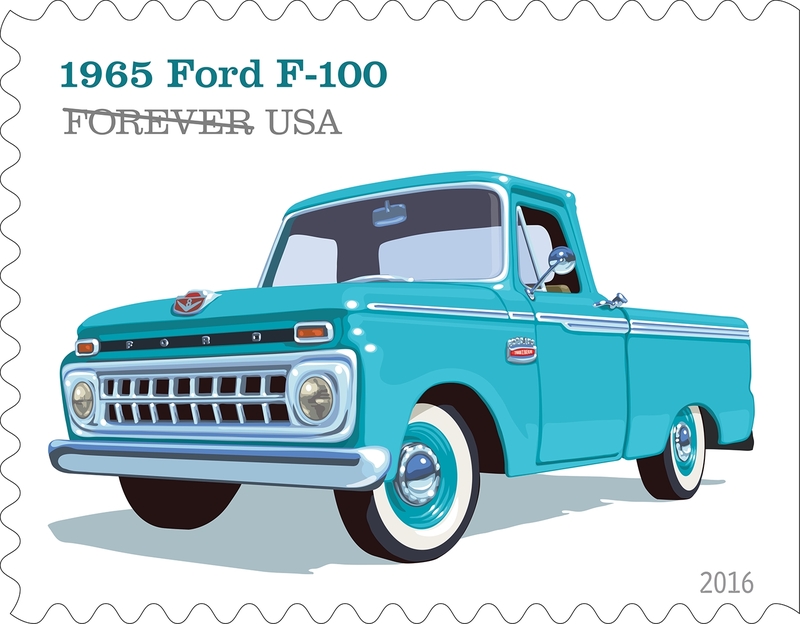 My favorite is the Ford F-1 with its five-bar grille and overall old-fashioned look to a frame that isn't ritzy but would stand out and turn heads wherever it may go. Which of these four classics is your favorite? 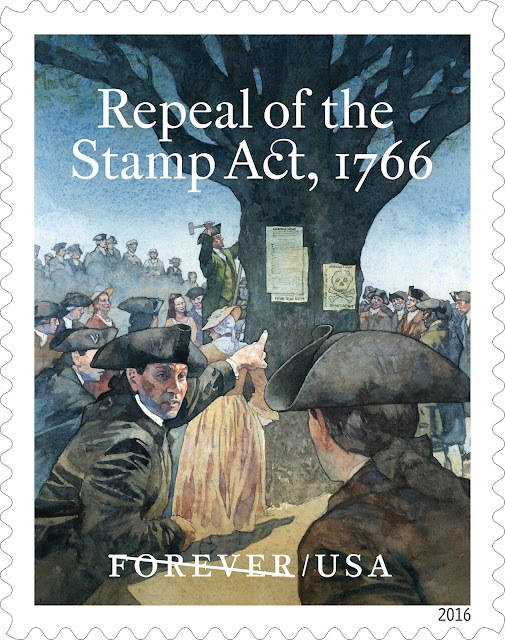 These pickups bring to mind that stamp collecting can be an affordable and fun hobby for children that can interest them in topics such as art, geography, history and science. 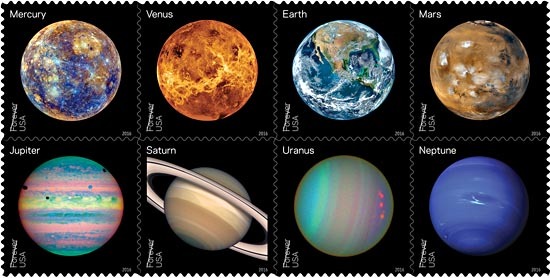 Kids can collect unique stamps issued by countries from across the world giving them insights into the various regions of our planet. Or they can stick closer to home and collect ones that interest them issued by our own Postal Service. 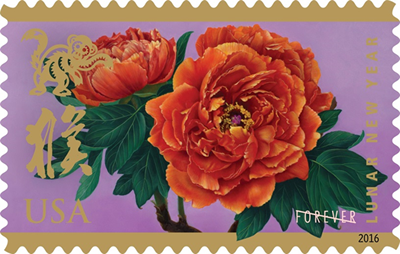 A few of the stamp sets being released in 2016 by the USPS that may interest and inspire children include Botanical Art, Black Heritage: Richard Allen, Celebrating Lunar New Year: Year of the Monkey, 200th Anniversary of Indiana Statehood, The Moon, Repeal of the the Stamp Act 1766, and View of Our Planets, among others. Plus there is an impressive Star Trek collection being produced this year that will commemorate the 50th anniversary of the franchise's original television show. YSCA eNewsletter - A colorful e-newsletter is sent quarterly filled with articles, how-to's, collecting basics, activities, stamp offers, and more. On-line Monthly Meetings - Chat with fellow members from many areas of the United States. 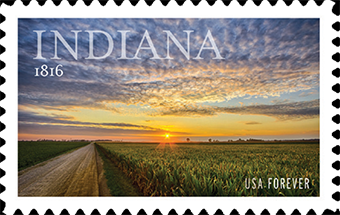 Official Meetings - Two live meetings are held annually at American Philatelic Society stamp shows. YSCA Members Only Area - YSCA members can log-in and view special messages, archives of past eNewsletters, collecting tips, and more. Pen Pal Services - YSCA members can become friends with other members in the United States or from around the world. Trade stamps or just write to learn more about someone else's stamp collecting interests. Treasure Package - New members receive a treasure package which includes a first day cover, packet of stamps, collecting information, and special offers. Each child in a household membership gets a Treasure Package. These are only provided the first year a child joins the YSCA. 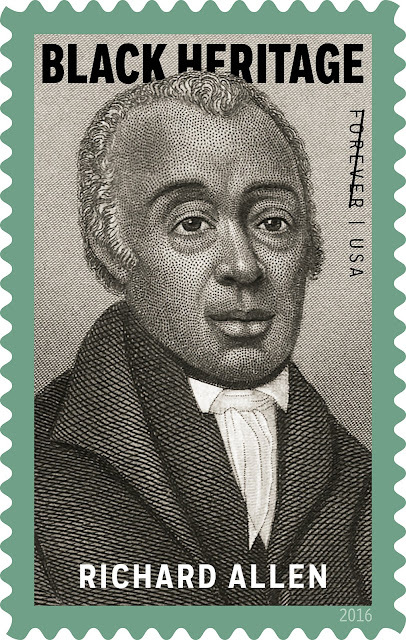 The American Philatelic Society, which is the largest nonprofit foundation of philately (study of stamps and postal history) with almost 44,000 members from 110 countries, also has FREE resources to encourage youth stamp collecting including activities, games, fun facts, and collecting tips. Visit Stamps.org/Young-Philatelists to check out what they have to offer.